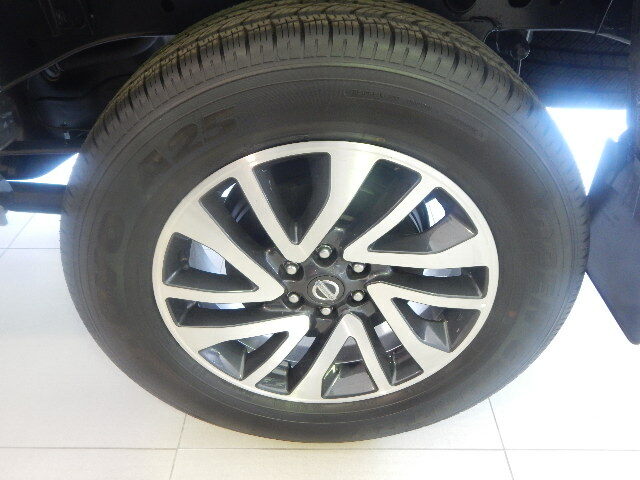 Checking your tyre pressure regularly will reduce rolling resistance and improve your car’s fuel consumption. Many of us were taught to let a car idle for a few minutes before driving it. Letting your car idle wastes fuel and causes other types of pollution, it’s better to turn your engine off and start it again than to leave it idling. Use cruise control if you have one. Each time you step on the accelerator it consumes more fuel, while using cruise control will keep the vehicle moving at a set speed. Everyone who commutes daily to work feels the pinch whenever there’s a fuel price increase. 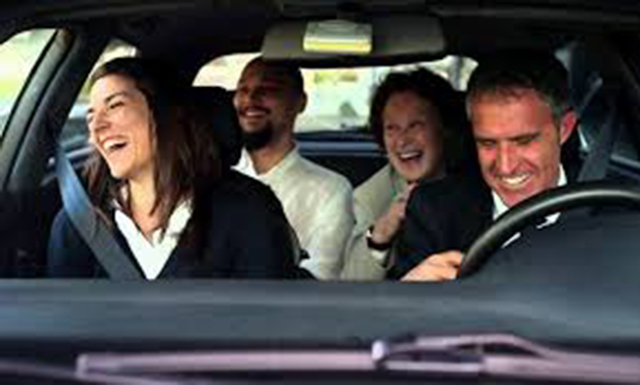 The more people you have in your car the less you pay for fuel, why not split the bill. Not only does servicing your car save you money, but new oil and filters will make your engine run smoothly and fuel efficient. 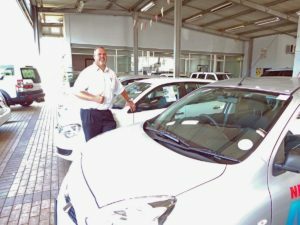 If you decide to sell your car one day, it has the potential to attract more buyers because of the service history. 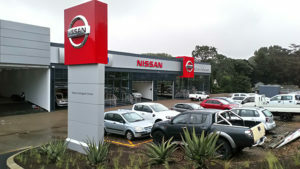 We offer Nissan quality genuine parts. 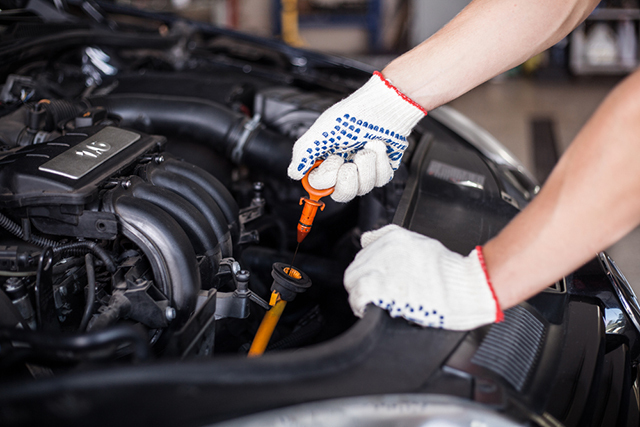 All our technicians are highly qualified and use the latest electronic diagnostic equipment. 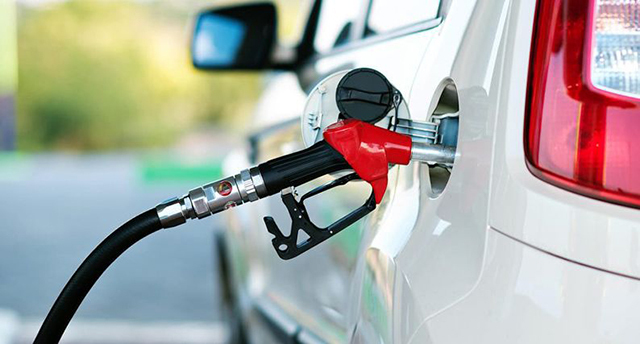 Our Fuel saving tips will come in hand with this skyrocketing fuel price increase. 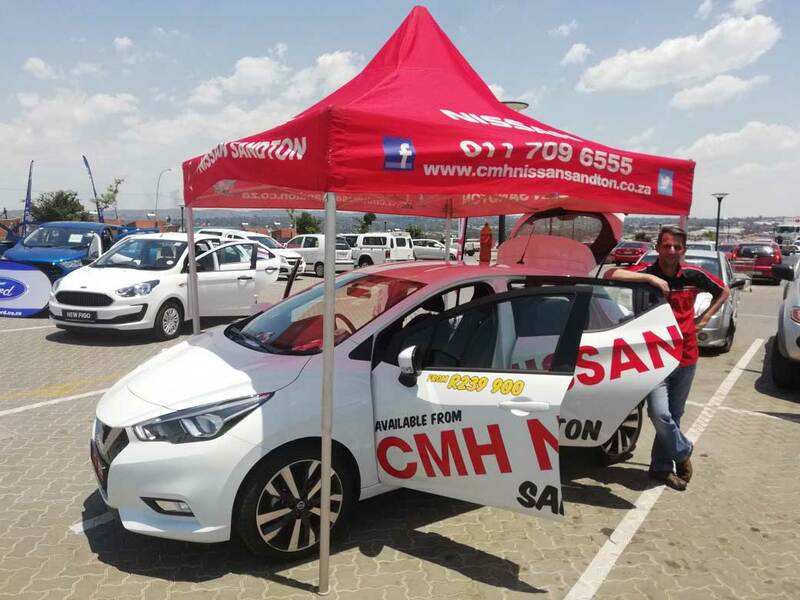 On the 23rd of March 2019 CMH Nissan Midrand had a very successful 2nd Test Drive Day. 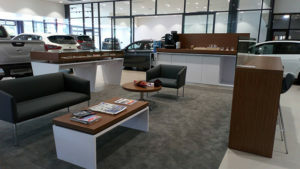 All our award winning vehicles were on display and available for a test drive with a few competitions running. Every client that had completed a test drive went into a lucky draw to win up to R3 000 in cash or vouchers. We also had the Magic Micra Campaign where we filled a brand new Nissan Micra with balloons and the one who guessed the right amount of balloons won another R500. 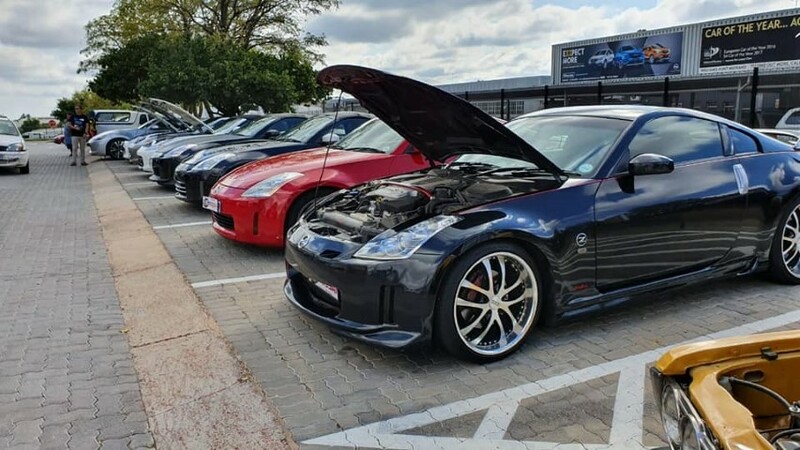 The Nissan Z Club, Nissan GTR Club and some of the Golden Oldies where displaying their breath-taking vehicles at our dealership on this fun day. There were some amazing machines on display from the oldest until the most recent shape of the Nissan Z range were at our showroom. We also made the most amazing Prego rolls which were made for our clients and staff members. It was a fun day and a huge success, we showed every client why Nissan vehicles are award winning vehicles. We will definitely have another event like this in the future so do not hesitate to follow us on our social media pages. 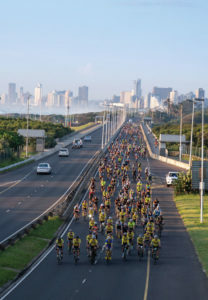 When the cycling bug hit just over a year ago, Stuart Singleton, Dealer Principal of CMH Nissan Durban noticed a dire need of assistance for cyclists riding the M4 route should problems arise. 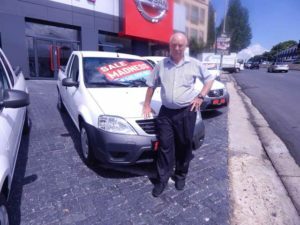 In conjunction with Cyclesphere, Expandasign and Life response, Stuart donated a Nissan NP200 for every Saturday and Sunday morning on the M4 between Umhlanga and Ballito. 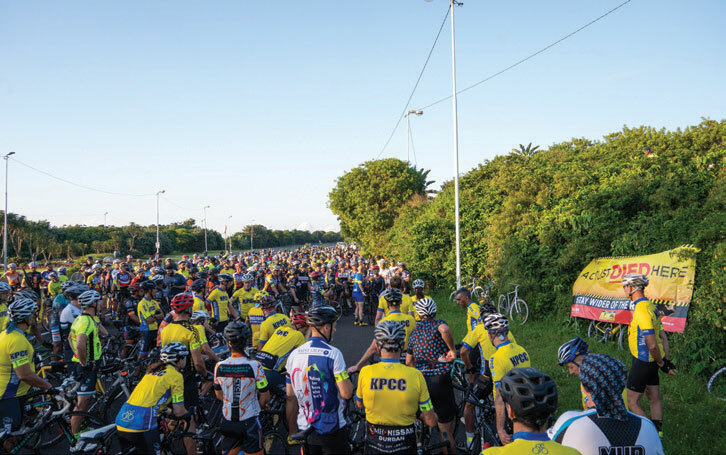 The joint venture will ensure that all cyclists have access to the purposed vehicle, a paramedic and bicycle spares. 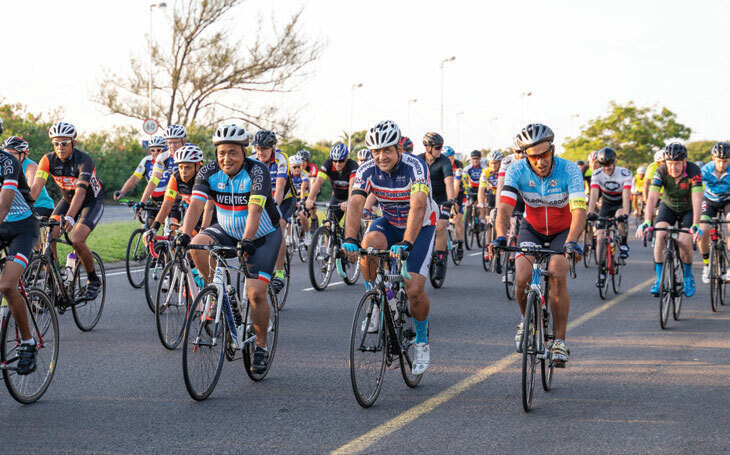 A test run was conducted last Saturday, and immediate use was made of the service when a cyclist was stung by a bee, to which he is allergic. Immediate action was taken by the paramedic and all ended well. 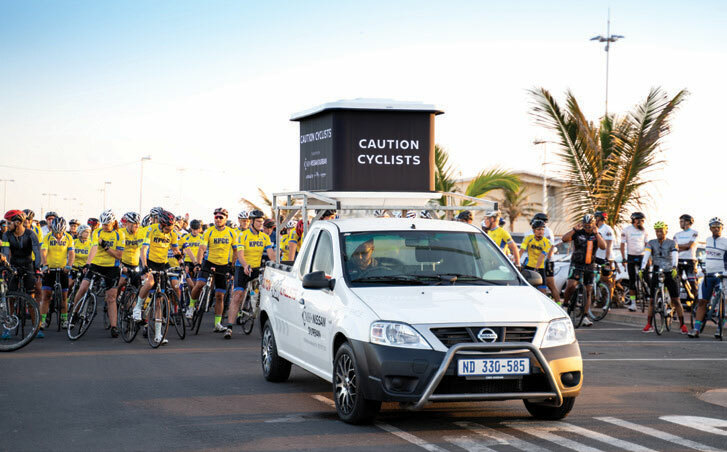 Cyclists can now ride with the assurance that there is help nearby thanks to CMH Nissan Durban, Cyclesphere, Expandasign and Life response. 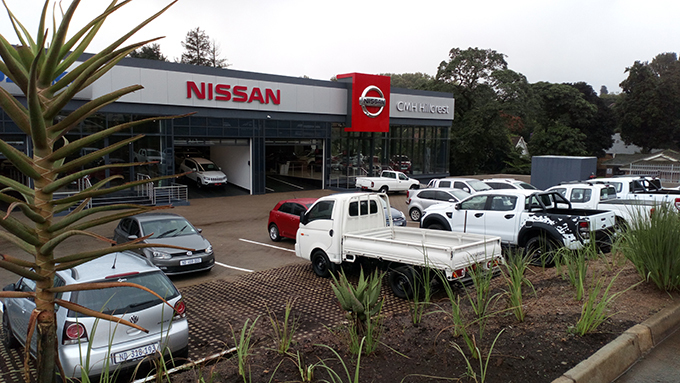 It has been an eventful few weeks at CMH Nissan Hillcrest since our move from our previous premises in Waterfall. The move to our new, state-of-the-art dealership in Hillcrest took place over the weekend of 22nd and 23rd February 2019 and required the assistance of every team member to move existing furniture, equipment and vehicles across to our new premises. 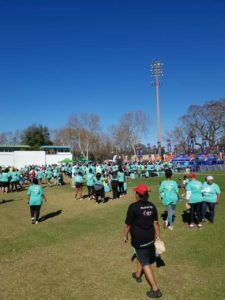 The overall move that weekend was extremely successful in which it has laid the foundation to a fantastic start for March. 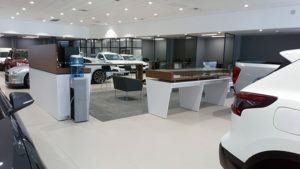 This month has already seen a wealth of activity with members of the Upper Highway community visiting the new dealership to experience the incredible changes and construction that has since taken place. 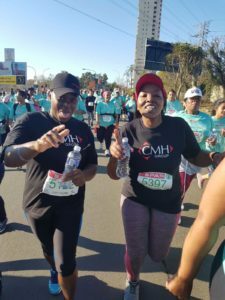 Located at 41 Old Main Road, Hillcrest; our new premises provides easy access thanks to its close proximity to the M13 freeway. 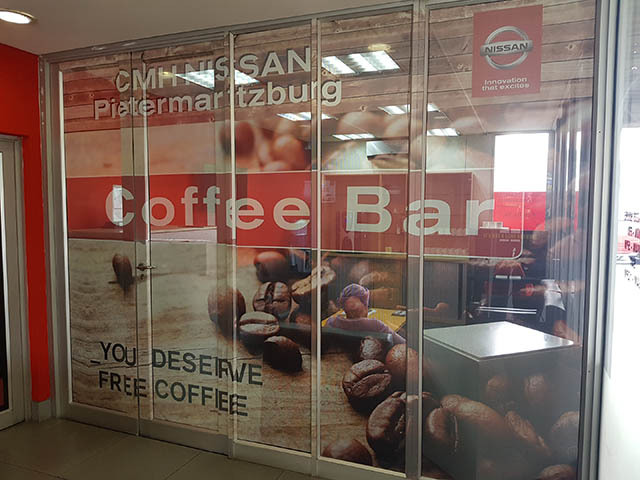 Combined with the new premises and staff to cater towards every need, CMH Nissan Hillcrest has joined the elite level of dealerships that provide a fantastic, client-centric experience and ensures that each new client becomes a life-long friend. As we inch closer to April, final touches are being completed in the dealership that will further enhance the spectacular and prestige element of CMH Nissan Hillcrest. 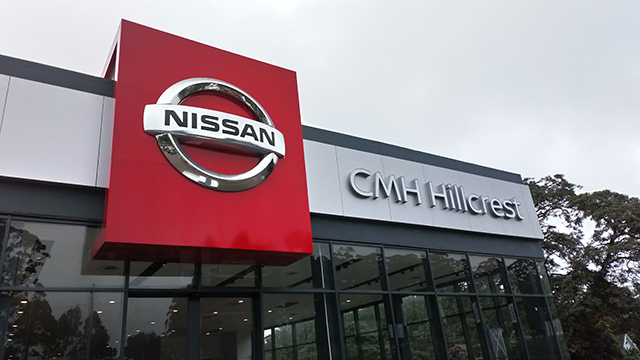 The entire team looks forward to welcoming you and your family to CMH Nissan Hillcrest, providing an experience second-to-none. Yet another fantastic finish to CMH Nissan Pmb’s financial year end. 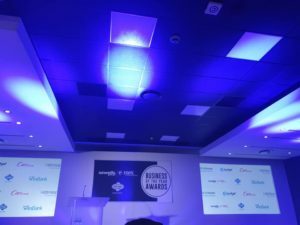 Finalist in the Sewell’s 2018 business of the year awards, and nominee for 2 consecutive years. The winners and finalists in the various categories of the Sewell’s-MSX International/NADA 2018 Business of the Year (BOTY) contest once again showed Nissan Maritzburg amongst the top dealers. 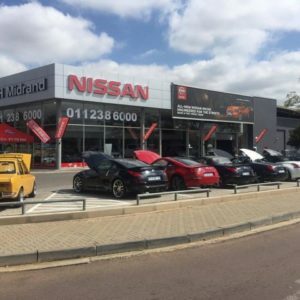 With the financial performances of Nissan Maritzburg, Being vehicle retailers we continued to show resilience and robustness in times of falling sales volumes. 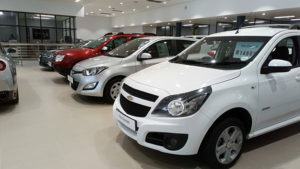 “The financial performances of the top dealers were, similar to those achieved by the winners in the BOTY competitions over the past few years, Sewell’s-MSXI SA analyses and evaluates the detailed operating financial data from more than 1 000 local motor dealerships every month as an important tool for the senior management of participating dealerships. 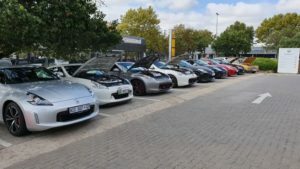 Out of 1100 dealers ,CMH Nissan Maritzburg was 1 of these dealers , we finished in the top 18 and top 3 for Multi franchise , Medium, large dealer categories. Meet CMH Nissan and Datsun Midrand’s New Vehicle Sales Manager Juran Bekker. Juran has been with our CMH family for the last 2 years and considers himself as a hard-working person who would go the extra mile to please our clients. 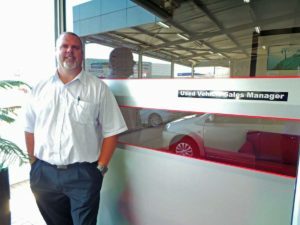 He has spent a lifetime building relationships and hope to successfully continue his journey here at CMH Nissan Midrand. 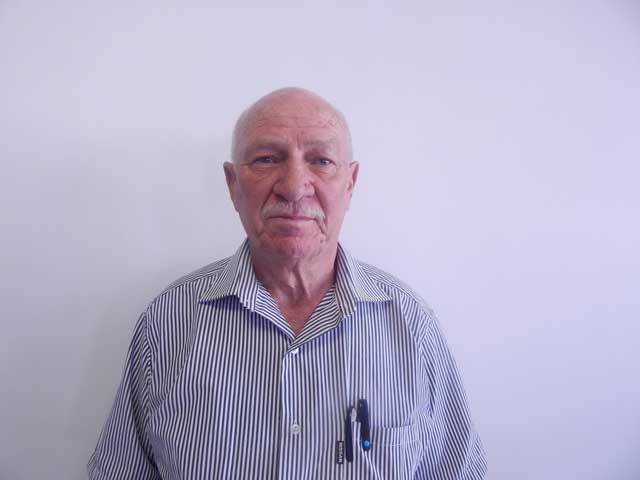 Juran says that he is very happy and fortunate to have received the opportunity to work with such a dynamic team. With a very successful sales team backing Juran he will make sure that they are ready and well educated to meet every client’s needs. Juran has a passion for excellence in service and he also strives to inspire this in his sales team and everybody who works with him. 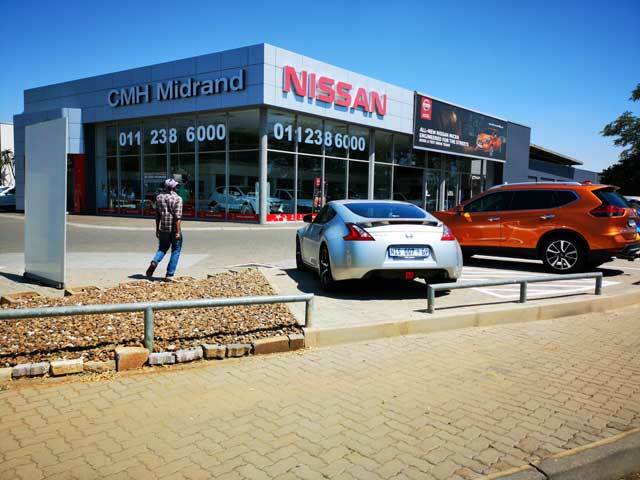 CMH Nissan Midrand are striving to reach next level customer satisfaction by ensuring that your next purchase will be as effortless as possible. Whether you are a big corporate entity or an individual client purchasing your first dream car, whatever you need we will be here to meet your every desire. 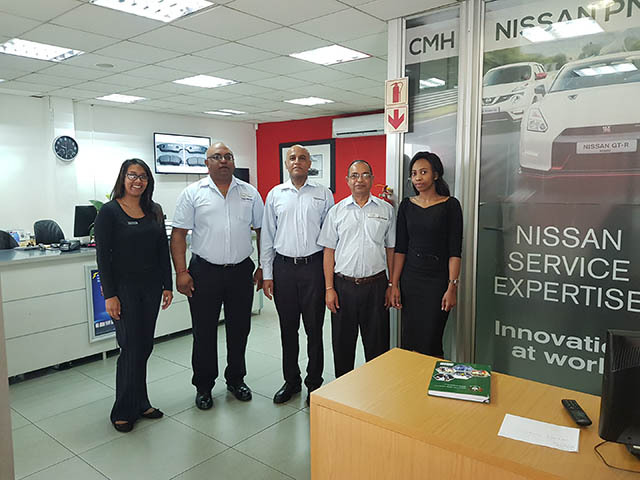 CMH Nissan Highway has started 2019 with a bang as January and February have represented two successful months for each department in the dealership. 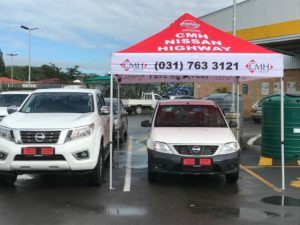 With everyone settled in and motivated for the New Year, CMH Nissan Highway had the pleasure and privilege of hosting a display at Builders Warehouse Hillcrest on Saturday 16 February 2019. 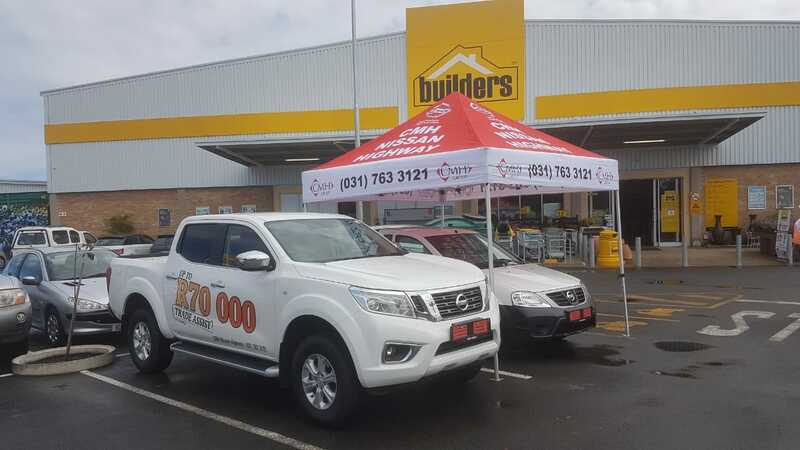 Located just off of Old Main Road in Hillcrest, Builders Warehouse is a leading retailer that caters from building and DIY materials to tools and garden living. 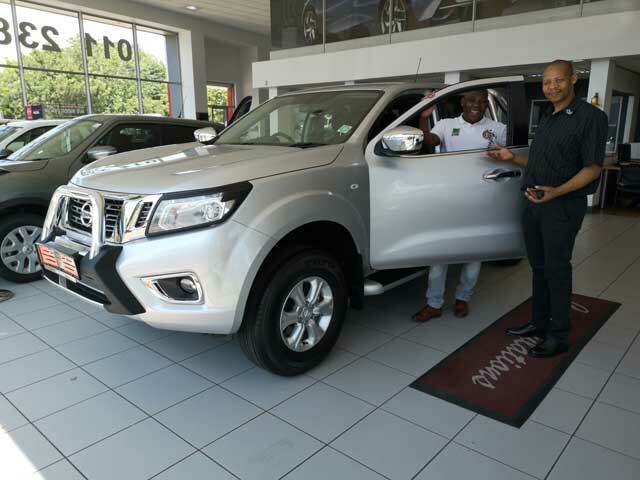 Such products and services fit in perfectly with the All-New Nissan Navara and NP200 that carry and transport materials with ease while you drive in fantastic comfort. A familiar cold and blustery Hillcrest morning greeted us as the team set up for what would be a successful day with conditions also becoming favourable and warmer to encourage the community to get out of the house on a Saturday morning. With Builders Warehouse in mind, we set up two brand new vehicles in the Nissan Navara 2.3D SE and the Nissan NP200 Safety Pack. 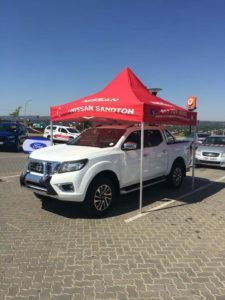 The Nissan NP200 range represents one of the most popular bakkies for fleet and private use due to its all-purpose and utility functions whether it is carrying heavy loads and material during the week to going camping or riding dirt trails on the weekend. Standard features such as rubberised bin ling and tie down brackets make loading and securing equipment/items incredibly easy; providing you fantastic peace-of-mind and confidence every time you get behind the wheel. 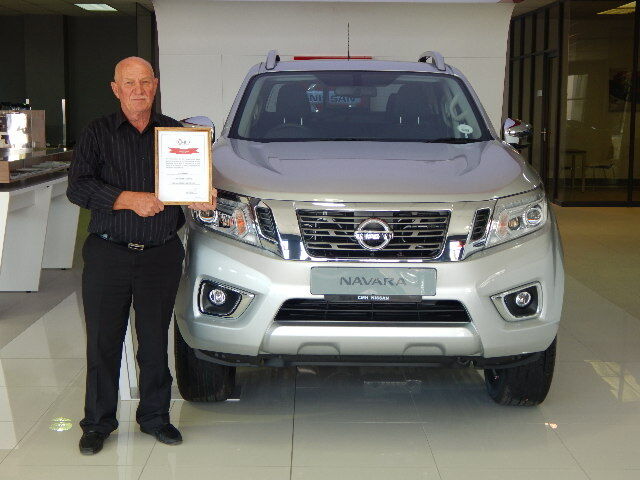 The Nissan Navara which won the coveted World Bakkie of the Year in 2016 perfectly combines the ruggedness and performance of a bakkie with the features and comforts of an SUV. The 5-link coil rear suspension provides a sensationally comfortable ride that out-performs other well know SUV’s. 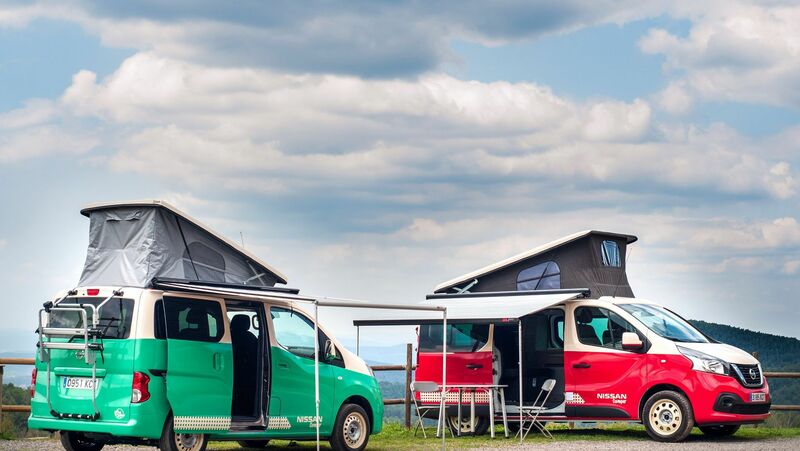 This with a range of features and extras ensure all your passengers will be entertained while you tow and store your luggage as you drive towards your favourite holiday destination. CMH Nissan Highway is grateful to Builders Warehouse Hillcrest for providing a fantastic opportunity to display two of our incredible bakkie offerings and we look forward to many more days together in the future. 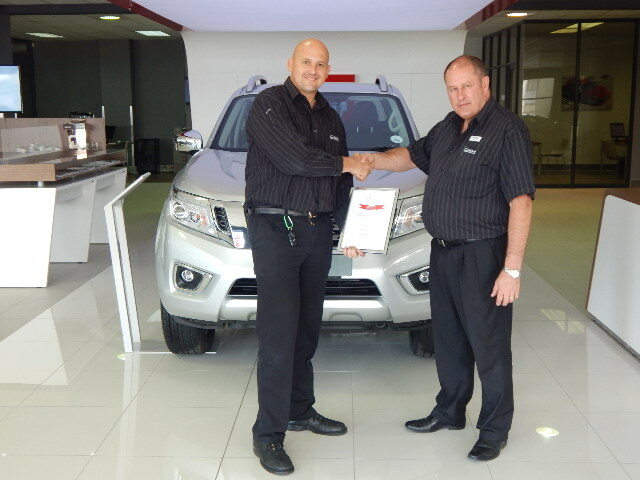 CMH Nissan Sandton cares about the safety of our customers with Nissan producing the best quality cars. The following are safety driving tips. Rain and wet roads can be dangerous. Manoeuvring on a wet road is difficult because the grip conditions are considerably reduced. Stopping distances increase considerably and road holding deteriorates. Reduce your speed and maintain a safe following distance from cars in front of you. Switch on the dipped headlights to make yourself more visible to other vehicles. 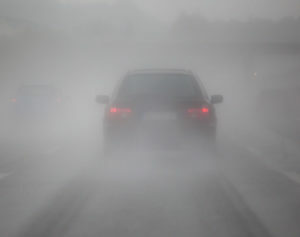 Periodically check the condition of the windscreen and rear window wiper blade. Make sure the ventilation controls are set to the demisting function so that there are no problems with visibility. Avoid sudden variations in speed and overtaking other vehicles. If the vehicle is forced to stop, try to stop away from traffic lanes. Switch on your hazard warning lights and your dipped headlights. Always stop when you feel tired. Continuing driving while tired could put others and yourself at risk. Reduce speed, especially on unlit roads. Make sure the headlights alignment is correct. 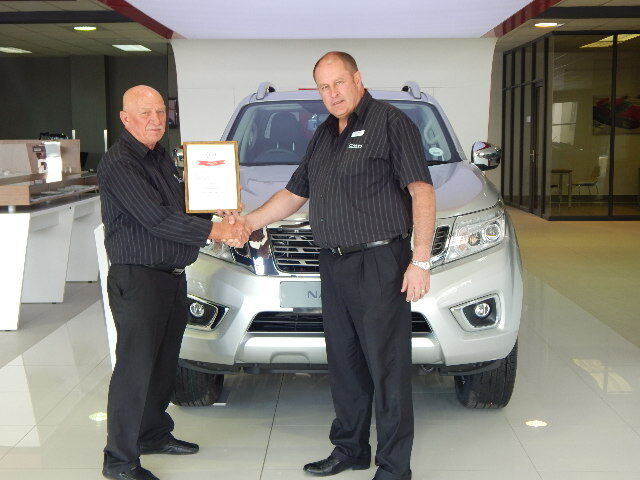 CMH Nissan Sandton prides its self by providing the best quality service to all our valued customers. 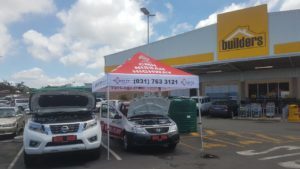 Service your vehicle with us. 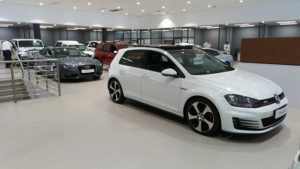 Our workshop has the state of the art equipment and highly qualified technicians. 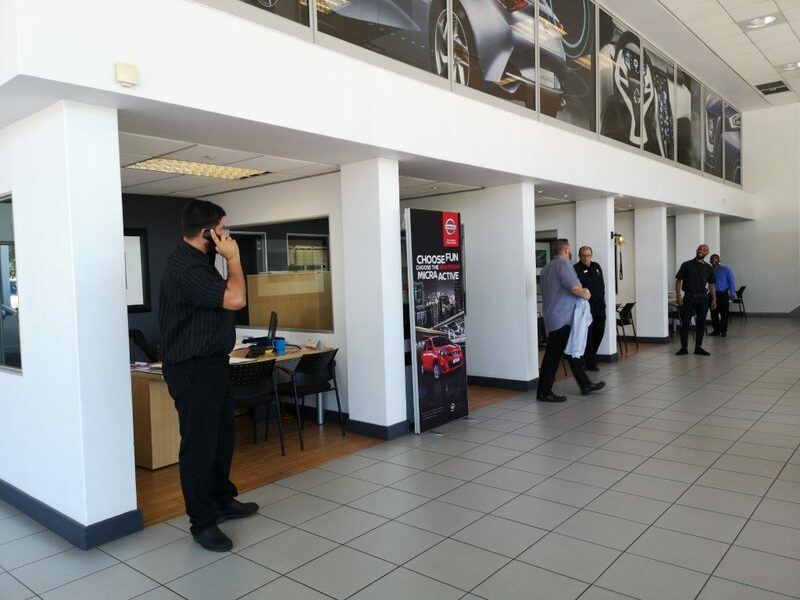 Contact us on 011 709 6555 to speak to one of our friendly service consultants. No booking required. 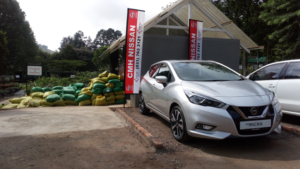 Are you looking to grow your Nissan car fleet? 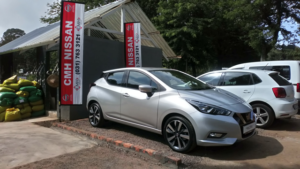 CMH Nissan Sandton offers the solution. 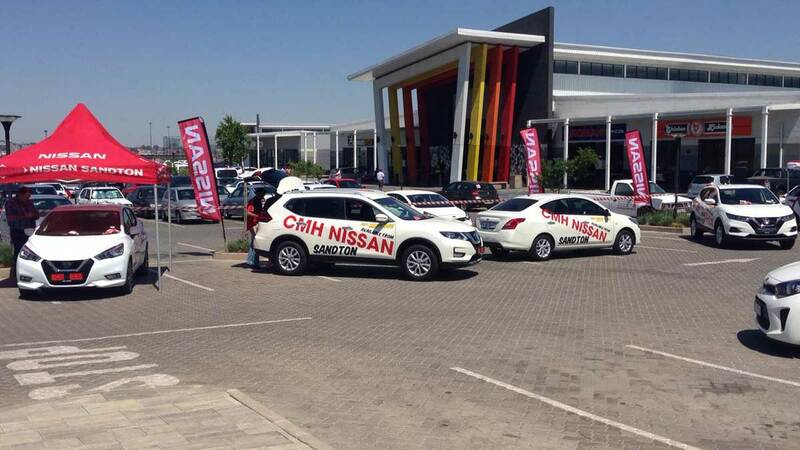 CMH Nissan Sandton prides itself by providing fleet solution to small, medium and big enterprises. 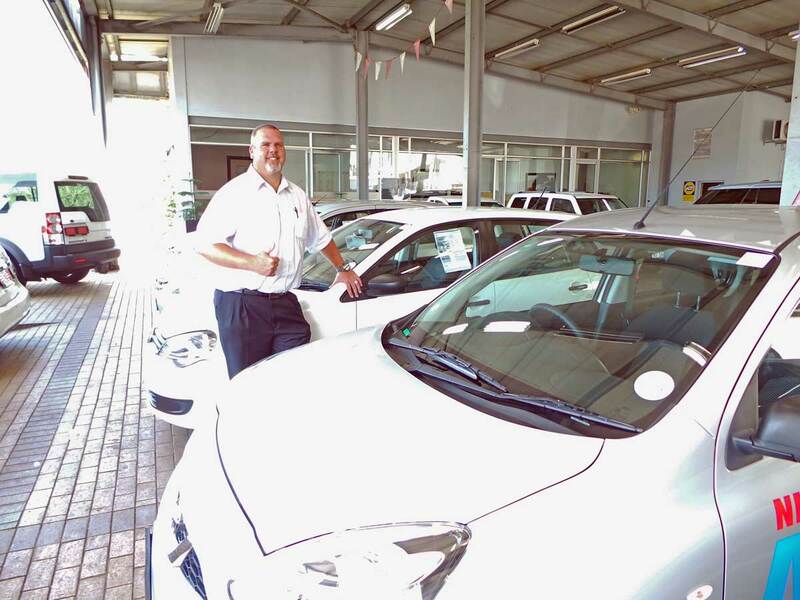 With our dedicated fleet sales executive Paul Steffens and under the leadership of our new cars’ manager Steve Smith, we offer a one stop fleet service. Paul has been in the motor industry since 1960. 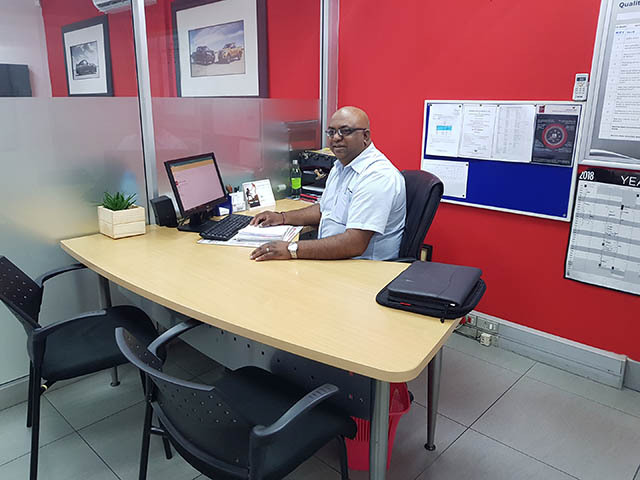 Understanding that working in sales is not easy, but with love, passion and dedication for the motor industry it’s what has kept him thus far. 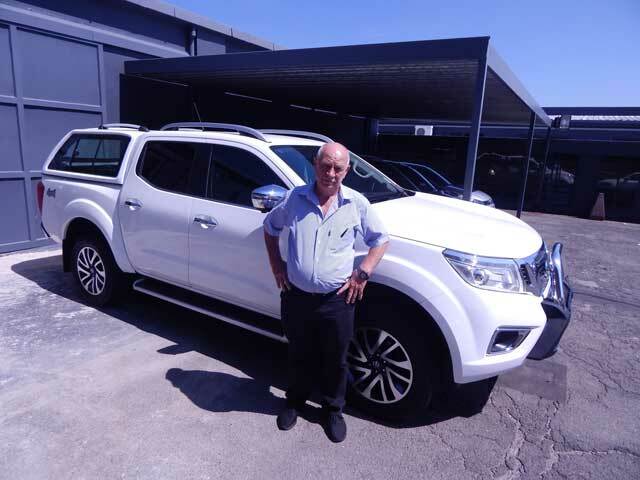 “Seeing a client satisfied due to the good service I have rendered is what makes me content and keeps me motivated’’ says Steffens. Closing deals and meeting his monthly target is what gives him great pleasure. In his spare time, Steffens enjoys spending time with his loved ones and spends a lot of time fishing. CMH Nissan Sandton is committed to providing customer satisfaction and delivering good service. 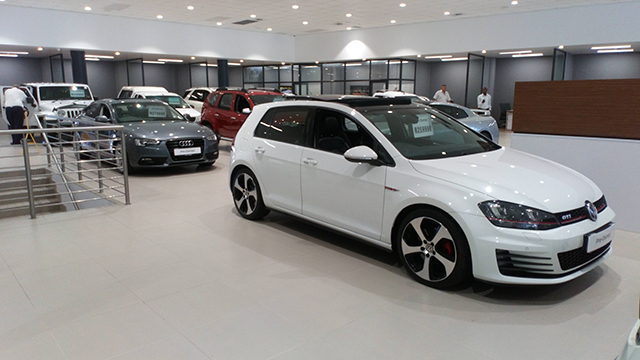 Contact our dealership now on 011 709 6382 for more information on our fleet range. 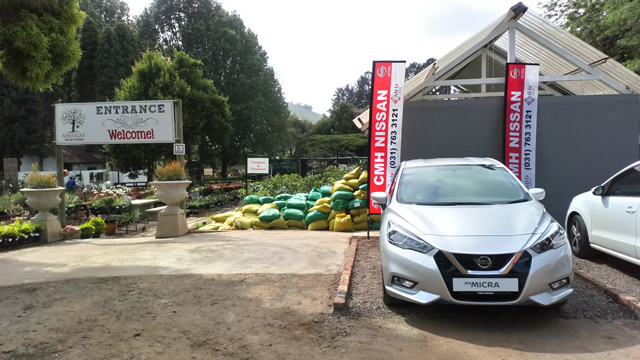 As 2018 came to a close, CMH Nissan Highway had the incredible pleasure of promoting a display in conjunction with the Assagay Garden Centre on Saturday 15 December 2018. 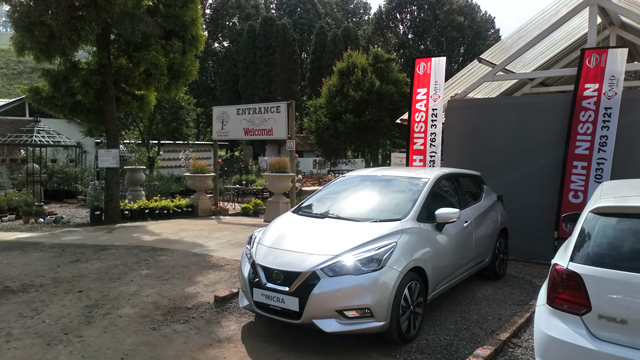 The Assagay Garden Centre is perfectly situated on the outskirts of Hillcrest; providing a fantastic arrangement of plants and flowers along with the opportunity to have an amazing meal at the renowned Bona Terra Cafe. A sensational morning greeted us as we set up our display for the All-New Nissan Micra, with members of the public offering their thoughts and opinions on our flagship hatchback. 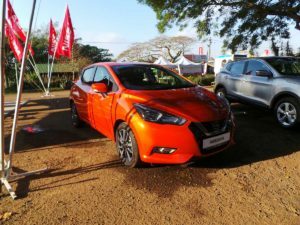 The Nissan Micra launched recently; is the culmination of Nissan’s desire to introduce an attractive and performance-orientated hatchback whilst emphasising the importance of safety. ABS, EBD, Vehicle Dynamic Control, Brake Assist and 6 air bags which contribute towards making the Nissan Micra among the safest vehicles on the road. 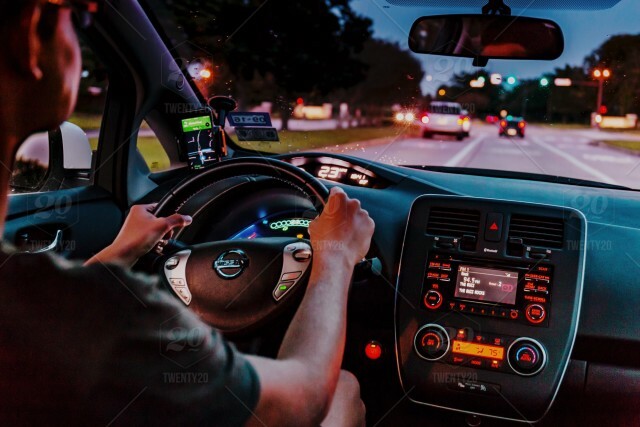 As technology has become a fundamental part of our everyday lives, the Nissan Micra features a 7” Touch Screen Infotainment System that integrates with Apple Carplay to enhance your driving experience. The hands-free Bluetooth system is another vital component in the shift towards creating a safer experience for the driver and passengers. Striking styling, angular bodylines and aggressive stance enhance the Nissan Micra and make it a truly incredible vehicle. 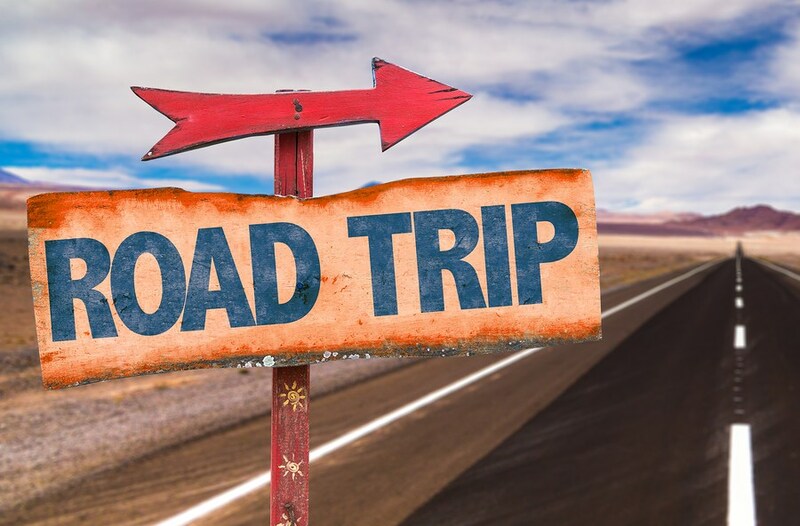 Get your car in order, Service your car before you go on a trip. Kids get bored easily so make sure you pack their favourite toys, play their favourite music and give them colouring books just to keep them busy while you are traveling. 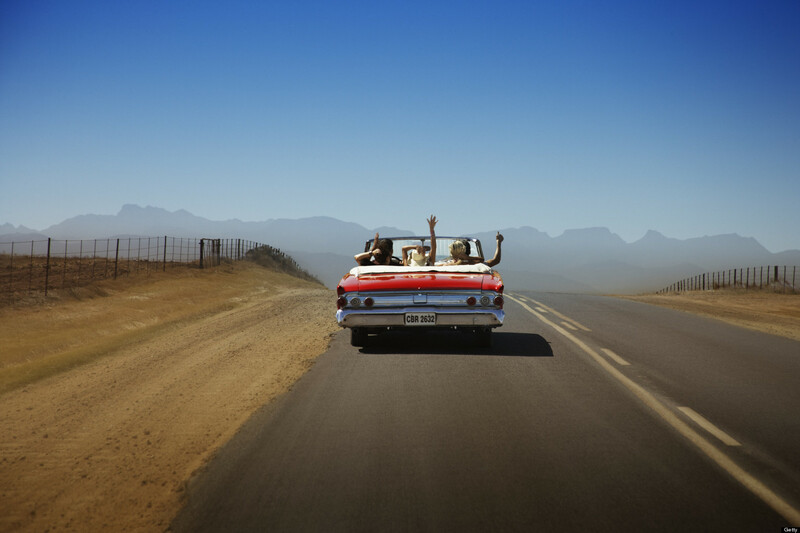 Drive safely and adhere to all the road rules. 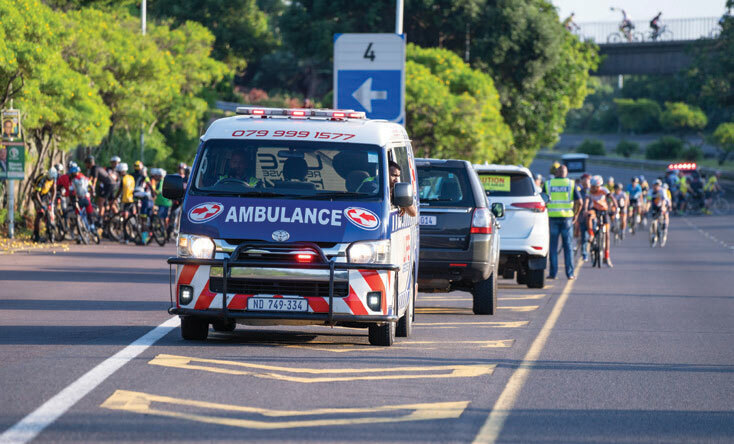 Be patient with other road users to avoid road rage. Have a first aid kit in your car in case of emergency. Take a break when you feel fatigued. 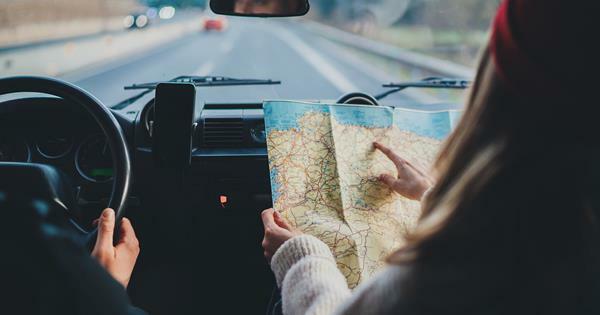 Use a GPS or a Road Map if you are not familiar with the place you are traveling to. 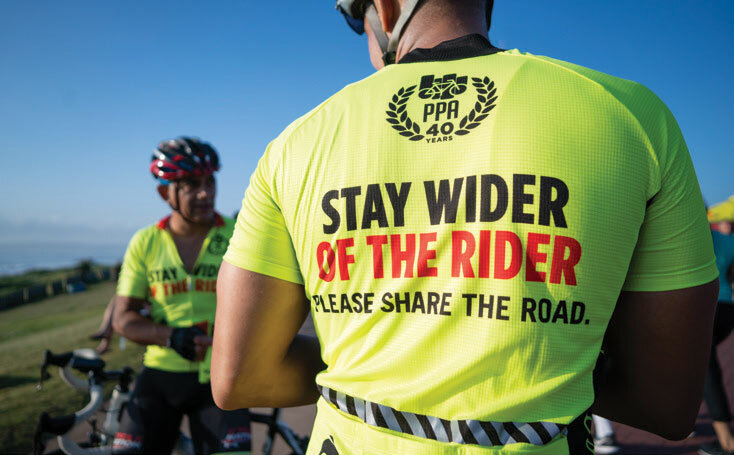 Think Bike, remember to check your mirrors and blind spot before you change lines or make a turn. Remember a road trip is supposed to be fun so stop when you see something interesting, socialize with the locals and take a lot of pictures. CMH Nissan Sandton wishes you a very HAPPY HOLIDAY. 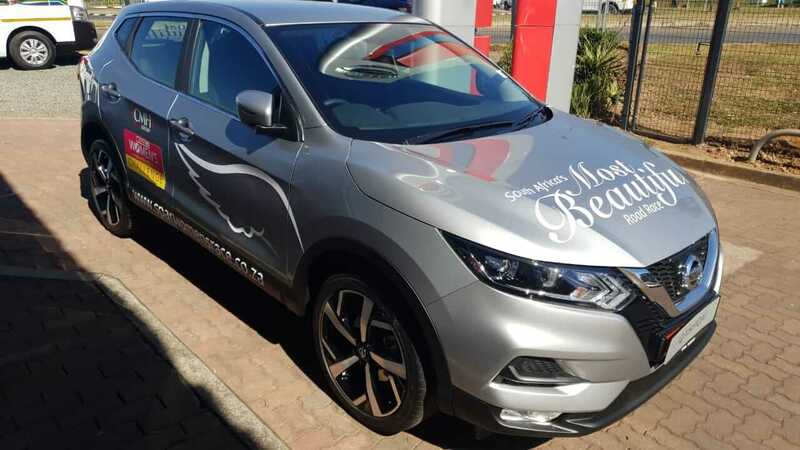 Take on the road with our most popular Nissan vehicles this festive season. 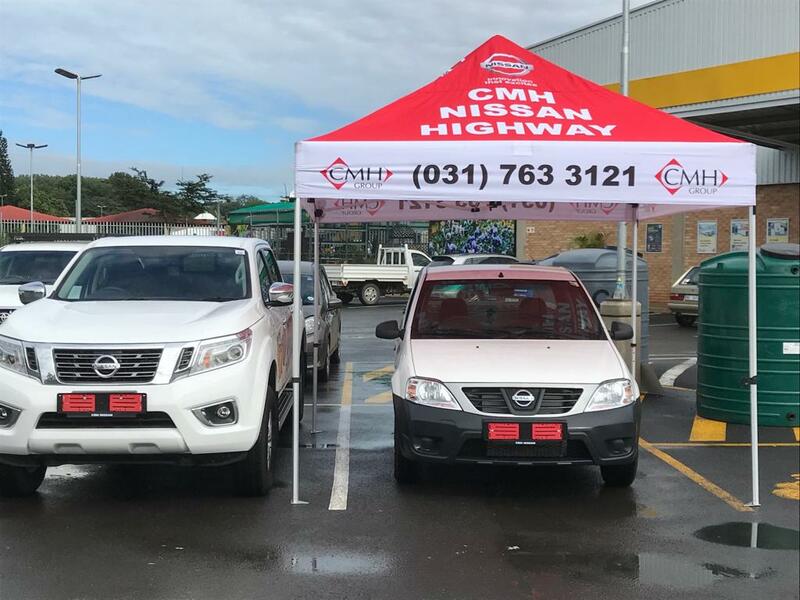 CMH Nissan Midrand is making it possible this year with incredible specials on our new vehicle range like the Nissan Navara and the Nissan X-Trail. Both of these unbelievable vehicles have the ability to take you everywhere your heart desires. 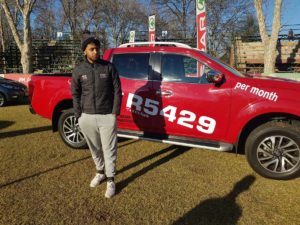 Get rugged with the ALL NEW Nissan Navara (available in a 4×4 range) that is very competitive to the other pick-ups in the market. The amazing 2.3 Diesel engine with an unbelievable fuel consumption of 6.5 L to 100 km allows you to travel the whole country with no limits. Additionally, the smart 4×4 drive and diff lock functions allows this vehicle to brake the burdens of all day driving. 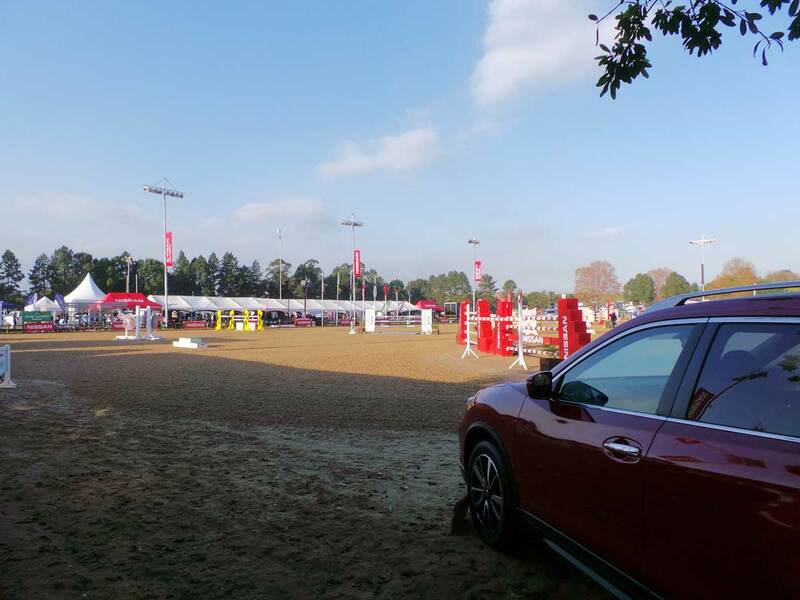 Get in the new Nissan X-Trail and go out there to explore the world this festive season. The new X-Trail is also available in a 4×4 range that takes toughness to a next level. When you are looking to buy your next SUV this is exactly what you are looking for. 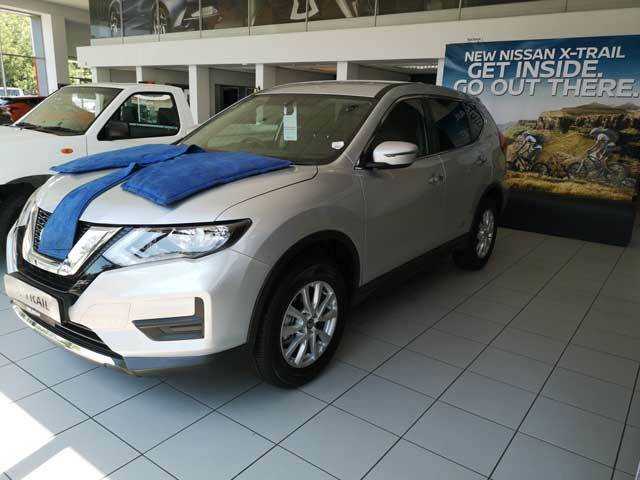 With a wide range of varieties of the new X-Trail in showroom CMH Nissan Midrand gives you an amazing offer on these vehicles. 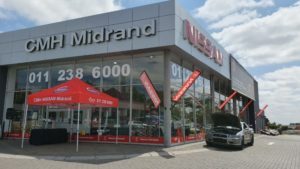 If you are ready to explore this festive season CMH Nissan Midrand has everything you wil be looking for in a SUV or Double Cab to visit the unreached destinations that everyone desires. 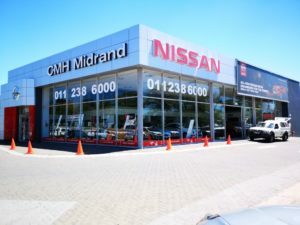 For more info feel free to contact us on 0112386000 or have a look at our informative website @ https://www.cmhnissan.co.za/cmh-nissan-midrand/. Do not dream of it, go out there and do it. CMH Nissan Sandton had the privilege of being one of the Dealers representing a variety of Brands at Alex Mall on Saturday the 10th of November 2018. We had the opportunity to display a variety of our cars as well as to interact with potential clients. In the process, through needs analysis we were able to provide a suitable offer to each client. 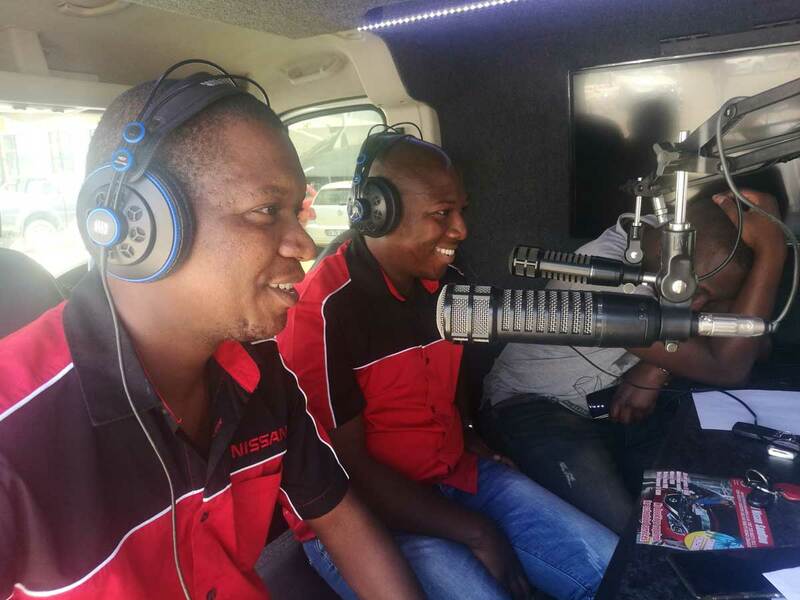 A live interview was done with some of our Professional Sales Executives on Alex FM. 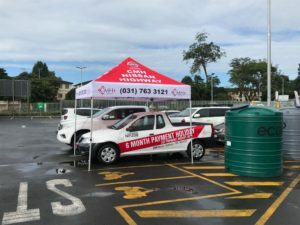 During the interviews we made sure to let our customers know that we are just a phone call away and have ongoing specials every month for new, demo and used cars. It was also emphasized that we take care of our customers and that we will structure a deal for them according to their needs and budget. We are committed to provide all customers with a consistently high level of quality and service. One of the elements that is of great importance to us is to render a high level of attentiveness and service during the sales process, and long after the sales is concluded. 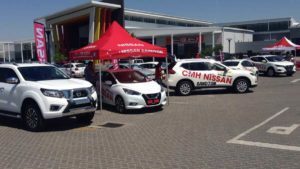 CMH Nissan Sandton would like to thank the residents of Alexandra, Alex Mall and Alex FM for being great hosts and allowing us to be part of this event. We will ddfinitely be attending the next event. 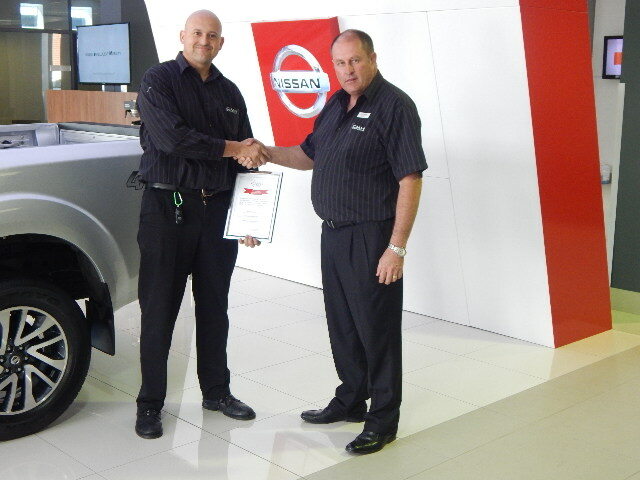 CMH Nissan Highway would love to welcome Grant Waddleton as our new Pre-Owned Sales Manager. Having started his career in the motor industry in 1999, Grant brings a wealth of experience and ideas to the dealership and the sales staff. 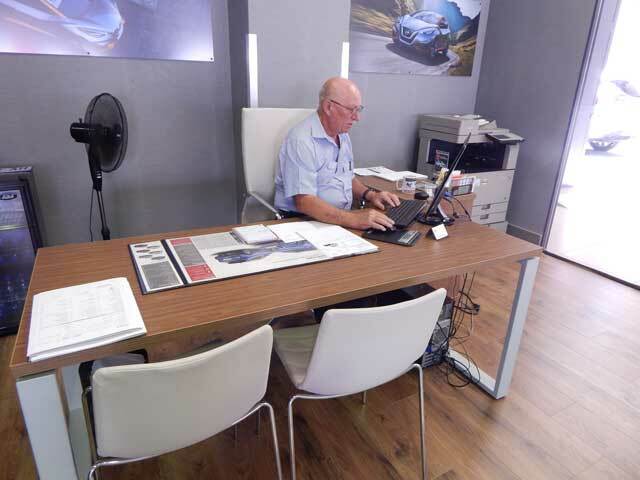 After successful stints with Audi, BMW and Land Rover Pietermaritzburg, Grant is highly motivated and there to help the dealership and sales staff achieve all set goals whilst providing a fantastic customer experience. His free-spirited nature helps create a tremendous work environment for everyone around him which allows people to continuously strive for perfection while remembering the importance of good morale within the team. Ambitious and energetic, Grant loves to spend time in the gym and the golf course where he regularly plays a round of golf with his son. 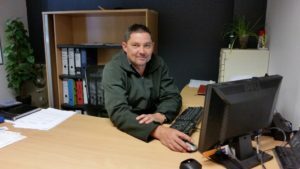 Whilst being passionate about his career, Grant also takes great pride in his family and ensuring they spend quality time together as often as possible. A great indication of his ambition is his favourite quote, “Change is taunting but exciting”. 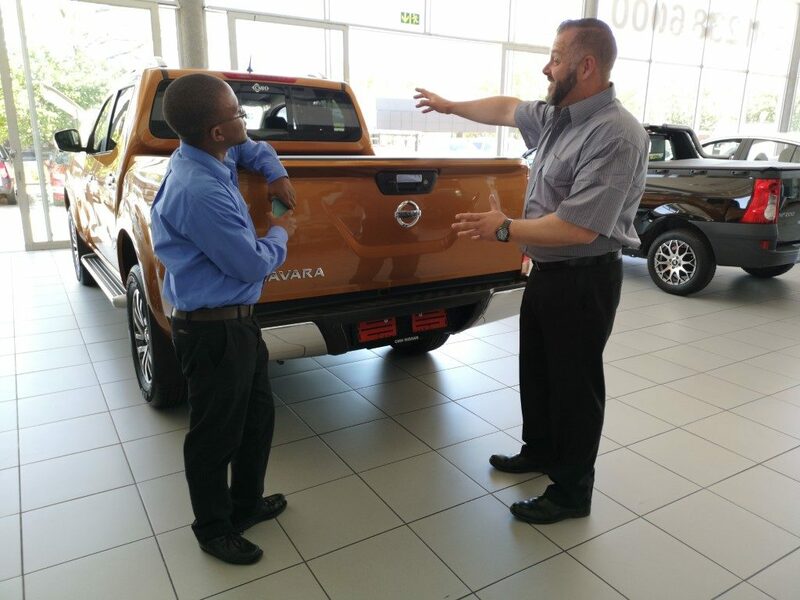 The entire team at CMH Nissan Highway wishes Grant all the best in his new position and we all look forward to having his energy and determination propel the dealership to new heights! 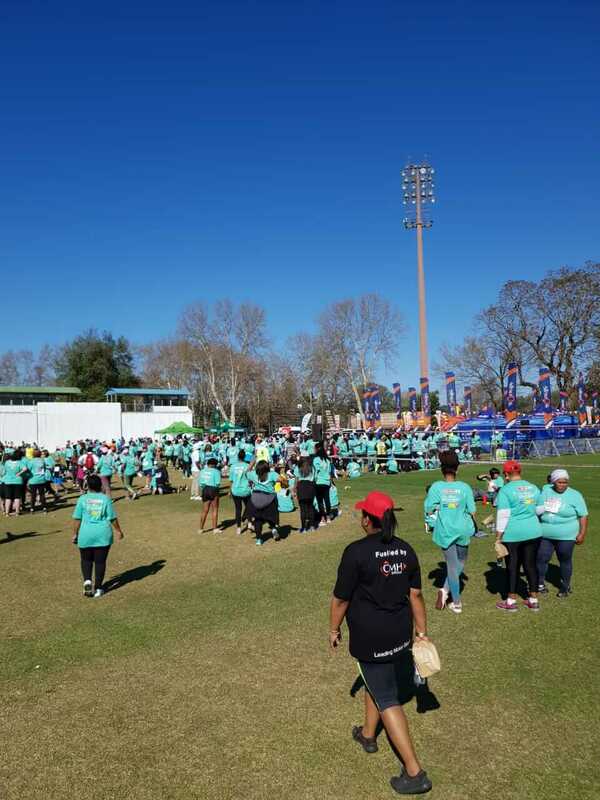 4,500 runners and walkers took to the challenge over the 5km – 10Km distances starting at Maritzburg College’s main rugby field and ending at The Oval cricket stadium, both the 5km and 10km races began simultaneously at 8.00am. Irvette van Zyl, running for Nedbank claimed the win on the day. 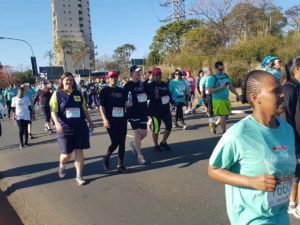 We are proud to announce that amongst the top runners the CMH name was carried high with Donna McCulloch, Dealer Principle of CMH Mazda Umhlanga coming in 63rd and Sarah Mcintosh, CMH Marketing Manager coming in the top 200, well done to the dynamic duo both participating in the 10km race. 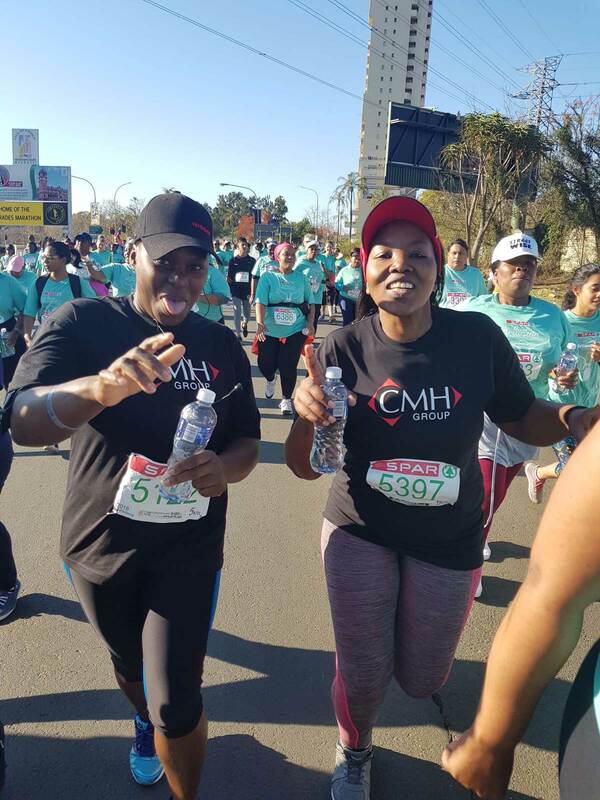 CMH Nissan Pietermaritzburg would like to thank the officials for allowing us to be part of the event and to the 5000 people out on route, who had a magnificent day in the glorious winter weather. As the vehicle sponsors of the event we were honoured to be able to drive the lead vehicle and watch all the action from the front of the race. 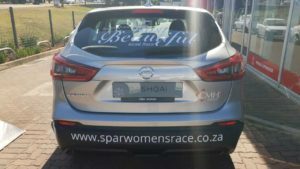 Our Role in the spar women’s race was an active one, amongst our Vehicles on display we had a designated driver assisting the runners. 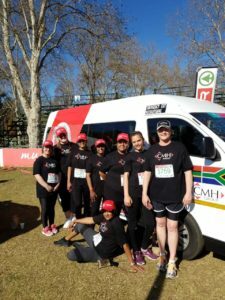 We are proud to say that we sponsored such an event which was thoroughly enjoyed by all the ladies at CMH Nissan Pietermaritzburg and the CMH Group and will continue to play an active role in the coming future. 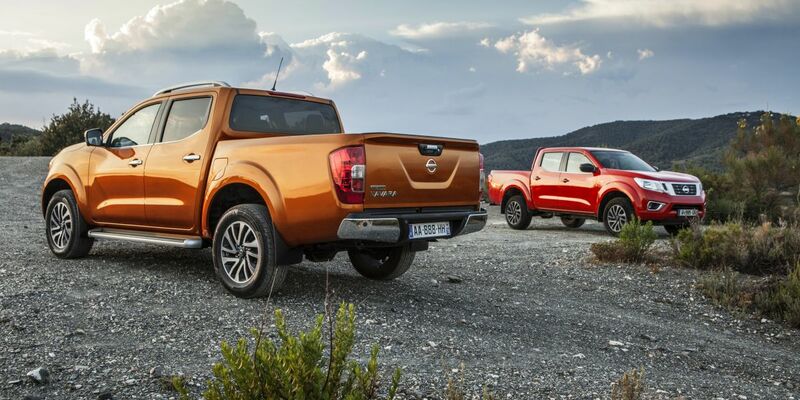 The New Rugged and Redefined Navara has arrived. 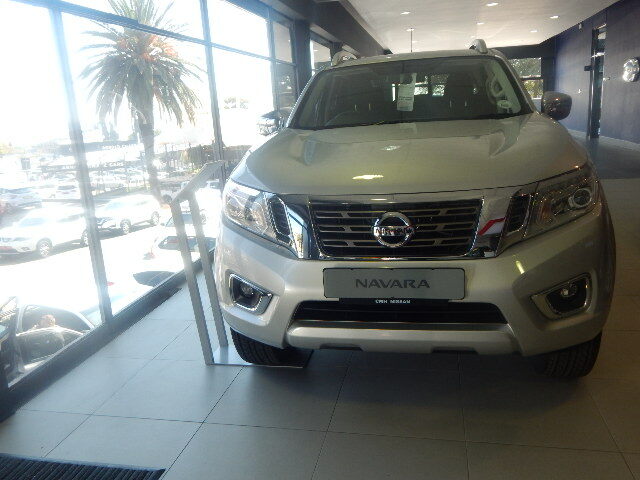 With its bold aesthetic styling and smooth interior, the new Nissan Navara is Built to take on the concrete jungle. 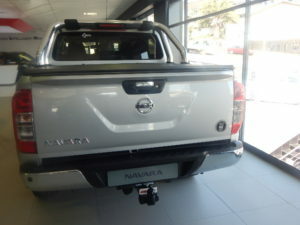 The new Navara is quite revolutionary with its high standard specification and uniqueness we guarantee you will not drive unrecognized. Not only built for comfort but also built for toughness, the new Navara caters for all your needs and desires! 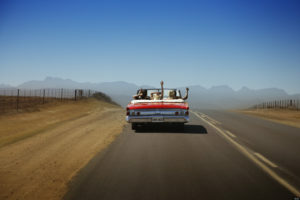 Travelling in South Africa is a lifetime experience but travelling in Style is an unforgettable experience. The new Nissan Navara has a great outcome of features such as; Rear view camera, Side/curtain airbags, Navigation and Cruise Control. Also Making its debut in the new Navara is a twin-turbo 2.3-litre turbodiesel engine that delivers a strong 140 kW and 450 Nm of torque. Fuel consumption in a combined cycle has been officially rated at 6.5 Litres per 100km, allowing for a range of over 1000km on a full 80 litre fuel tank. 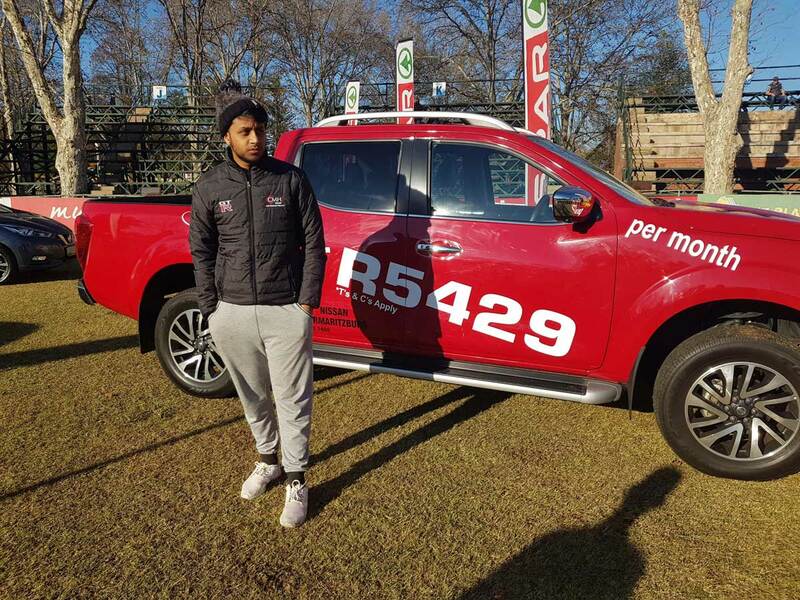 Our Nissan Navara SUV fanatics can enjoy affordable instalment from only R5,429 p/m, don’t Miss out on this stylish SUV which boasts intuitive technology, confidence and agile performance. CMH Nissan Sandton would like to invite you to 348 Jan Smuts Avenue in Craighall Park to find your Nissan Navara 4×2 or 4X4. 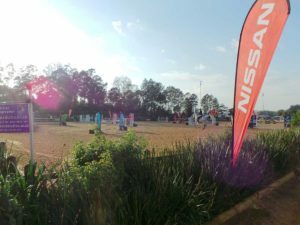 Last week from 13 -17 June 2018 saw the Nissan Winter Classic once again hosted at the gorgeous Shongweni Showgrounds just outside Hillcrest. 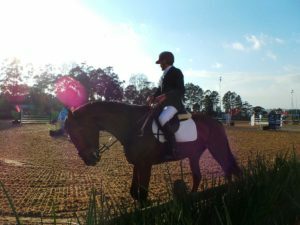 The week was used to host one of South Africa’s prestigious equestrian events where show jumping and polo took place during the week and over the weekend. 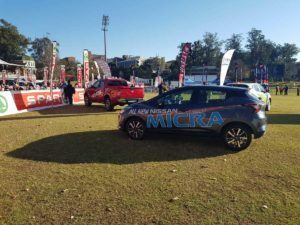 CMH Nissan Highway was fortunate to take part in this fantastic event whereby the All-New Nissan Micra was introduced to the greater community. 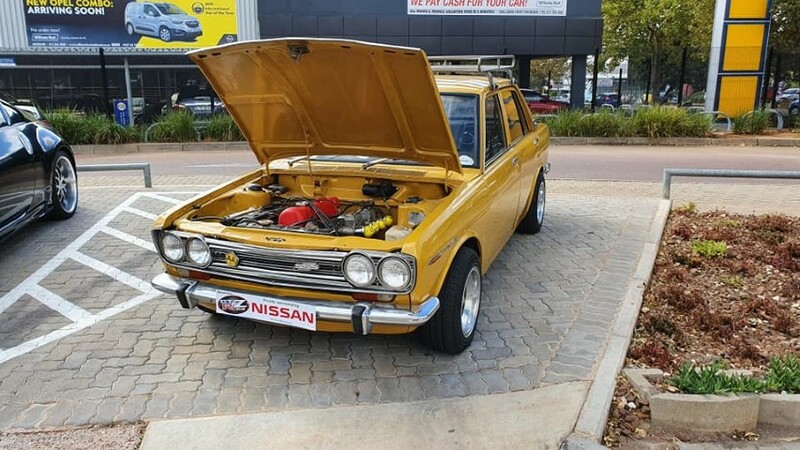 Exciting and perfectly engineered, everyone that viewed, and test drove the vehicle were all thoroughly impressed with the improvements and upgrades that had been made to our trend-setting hatchback. 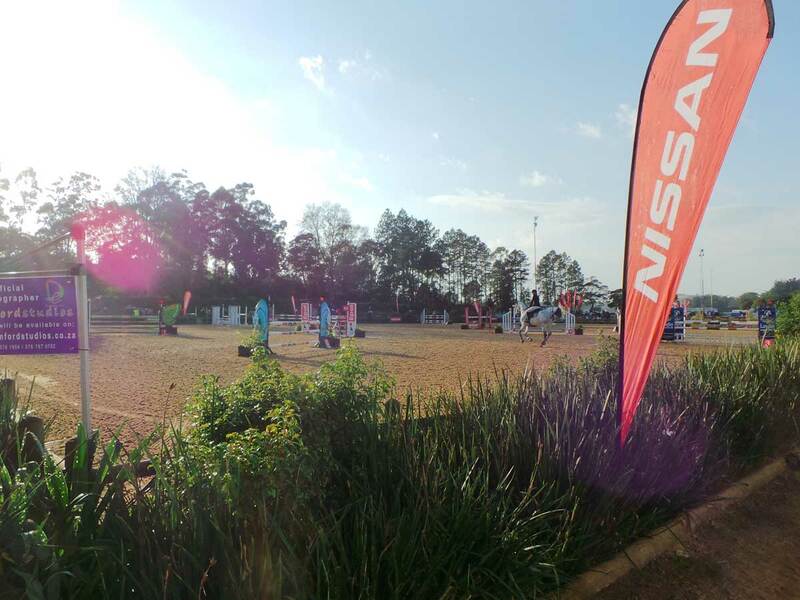 Although the Nissan Micra was the flagship vehicle on display at the Nissan Winter Classic the remainder of the amazing Nissan vehicle range from the Nissan NP200 through to the Nissan Patrol were all on display, ready to impress everyone that came to the show. 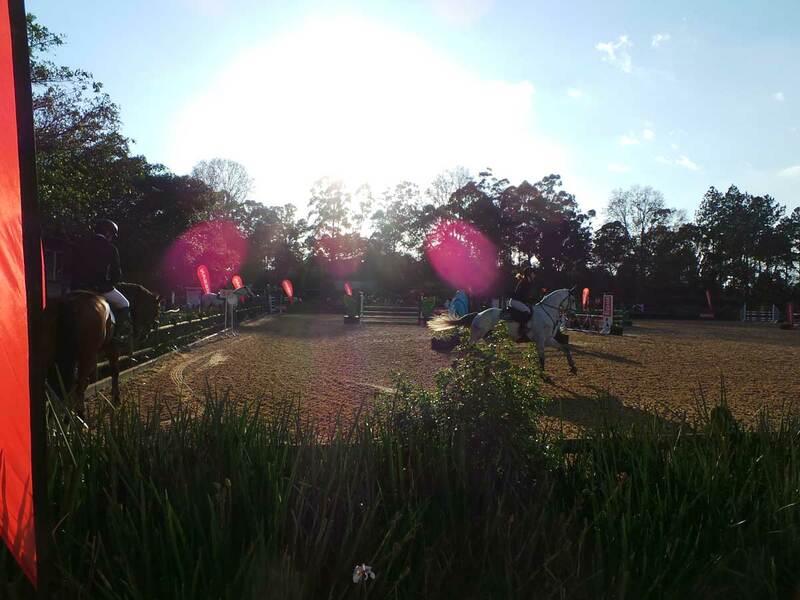 With superb weather throughout the week providing some much-needed warmth in the chilly Shongweni hills; husbands, wives, children and the public of all ages were able to enjoy the festival and have a fantastic day out the house with amazing food, drinks as well as activities to sample. After another successful year at the Nissan Winter Classic, CMH Nissan Highway is already looking forward to getting involved in another superb event next year. 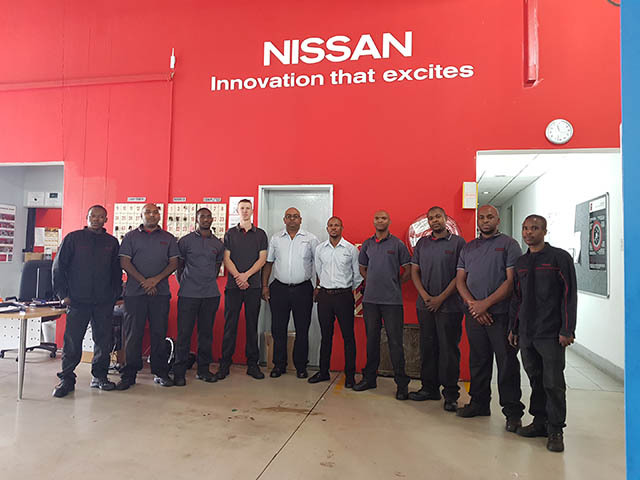 At CMH Nissan Sandton “Moment of Brilliance and Hard work” are rewarded to those who put in the hard work, dedication, time and service before themselves. 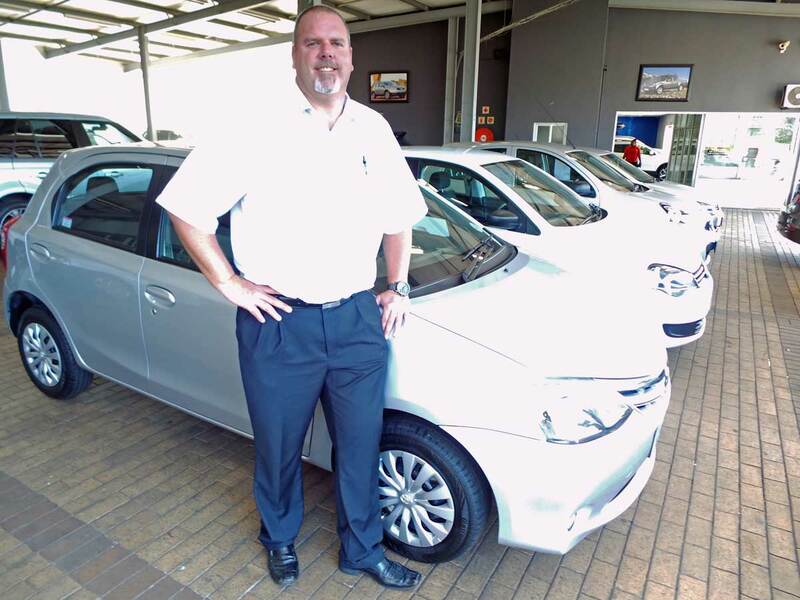 CMH is proud and fortunate to have Paul Steffens (Sales Executive) and Elfie Buys (Workshop Manager) who both received rewards respectively for their services. 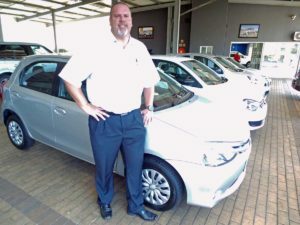 Paul Steffens (Sales Executive) is a man with passion and dedication within the motor industry and he is known for his highly anticipated services to the CMH Nissan dealership. 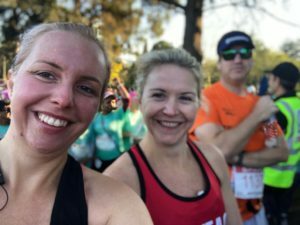 Success and growth are principals that Steffens believes are attainable if you put your mindset to your goals. He was honourably awarded for 1st Place Sales Executive in the CMH group. 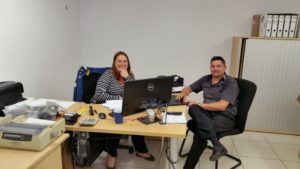 Elfie Buys (Workshop Manager) a man who is analytical and work orientated delivers excellence and delivers expected results at every first attempt. 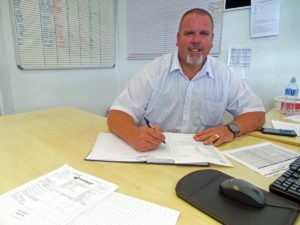 Buys believes that as a Workshop Manager, efficient and effective results are expected in the workshop department in order to deliver a great service to the CMH Family. 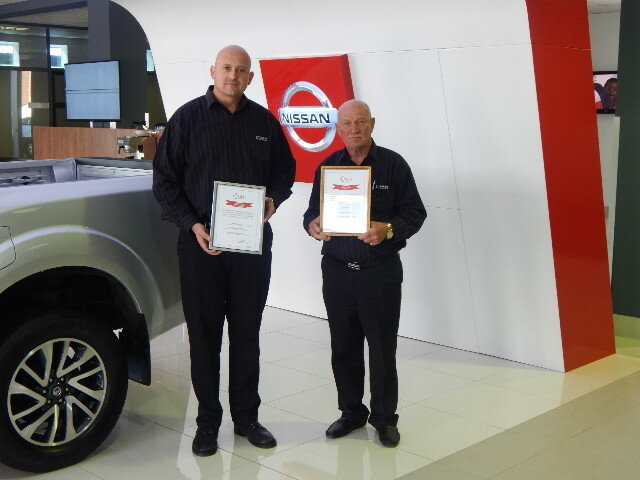 He was honourably awarded for 7th Best Workshop CMH Nissan Sandton and Best Improved Workshop. Mark Moffat (Dealer Principal) is honoured to have the services of both Paul Steffens and Elfie Buys at the CMH Nissan Sandton Dealership. 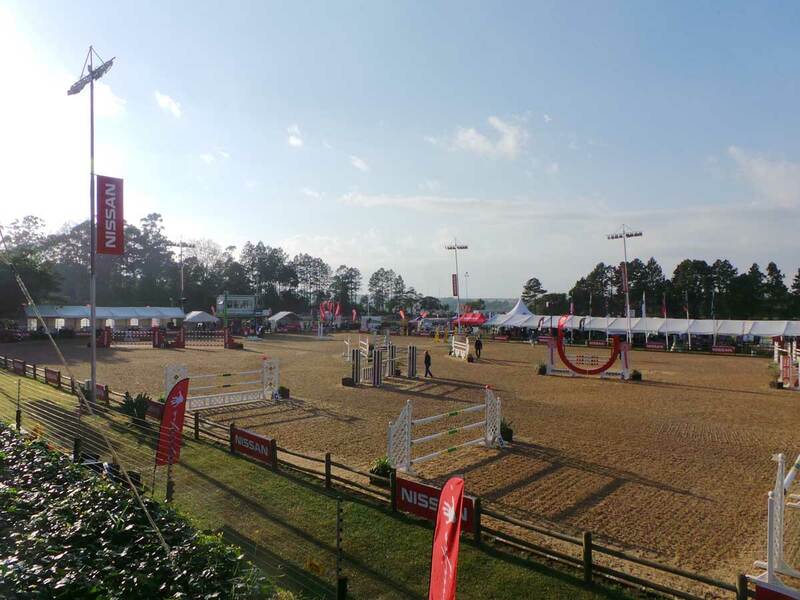 “We would like to honour Paul and Elfie for their remarkable services and we congratulate them on their success and we wish them all the best in their careers”. We at The CMH Nissan Sandton Dealership would like to congratulate Paul and Elfie! CMH Nissan Sandton now operating at 348 Jan Smuts Avenue in Craighall Park. 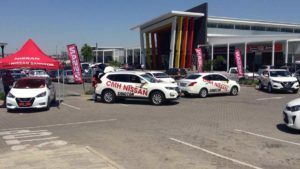 CMH Nissan Midrand has done it! We got awarded “CMH Best Workshop 2018” at the CMH Annual Awards held on Friday 4 May 2018. We have been chasing this award for the last 5 years, always ending up in the top 3, and now finally we have another trophy to add to our display shelf. 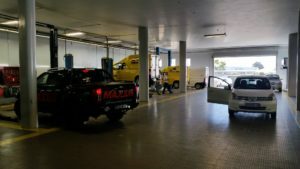 The award is based on various factors, including CSI (Consumer Satisfaction Index), overall workshop performance, turnaround time and service volume, and it wasn’t easy getting to the top. 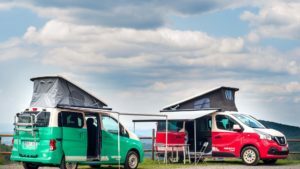 Now that we have reached the peak, the real challenge lies in keeping the pace and momentum going, and this gives you, our loyal customers, the peace-of-mind and guarantee that you are dealing with the best. 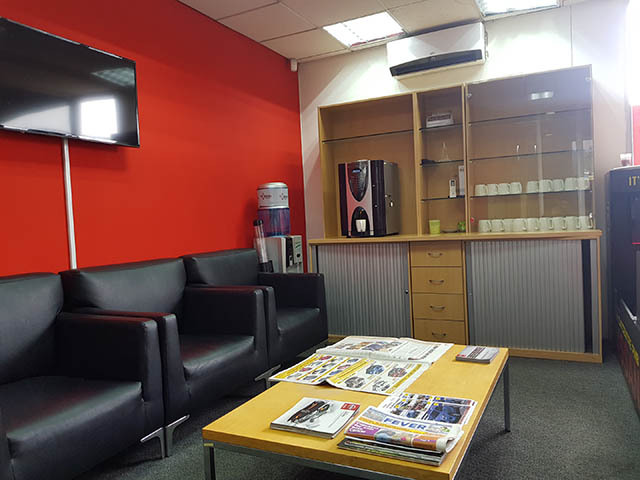 Apart from the normal service and warranty claims, our workshop also caters for all your tyre needs with our in-house fitment and alignment centre. 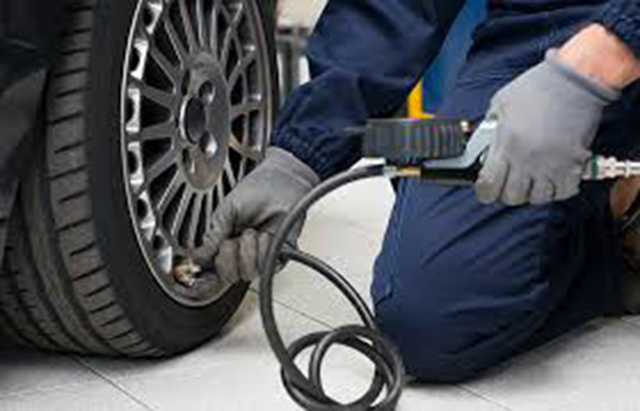 We can get you the best prices on new tyres, take care of your wheel alignment and balancing and ensure your tyres are properly inflated, all under one roof. We also offer a free battery check to anyone who brings their vehicle in for a service. 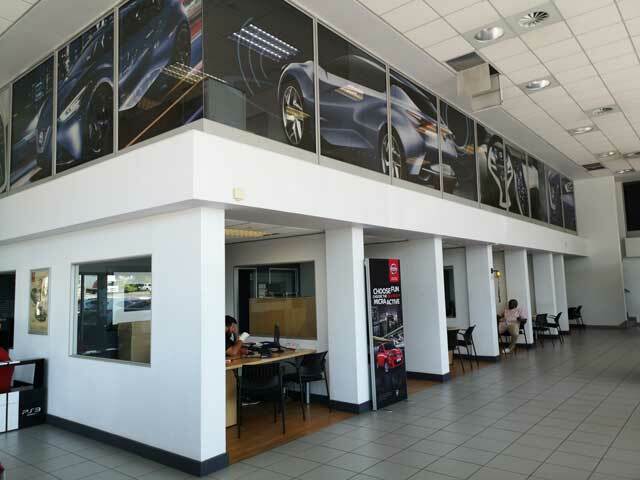 When you enter the front door, our friendly service advisors Riana Le Roux and Cheslin Du Plessis will cater for all your needs, whether it is just for a service, a warranty claim, wheel alignment and balancing, and even valet your vehicle for you. 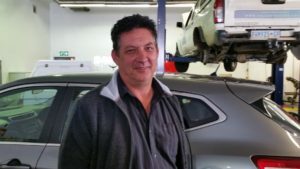 Deon De La Harpe is in charge of anything to do with your wheels, and will ensure that your rubber stays on the road. He is very passionate about customer service and will really bend over backwards for our clients, making sure that you are looked after in a professional and courteous manner. 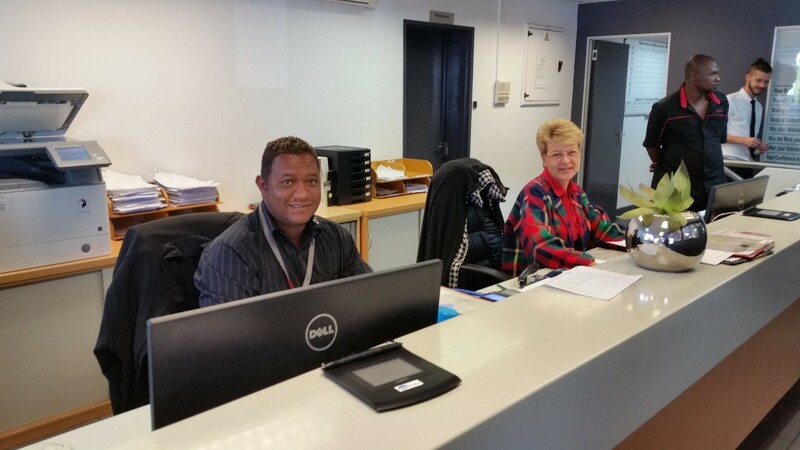 On the warranty side, Caren van der Walt is standing by to make sure your claims are handled timeously and effortlessly. She is an operator and gets things done, and will give you feedback regularly to make sure you are up to date. And finally, the man behind it all, and also the winner of the coveted “CMH Workshop Manager of the Year 2018”, Dean Nell is the driving force behind it all. 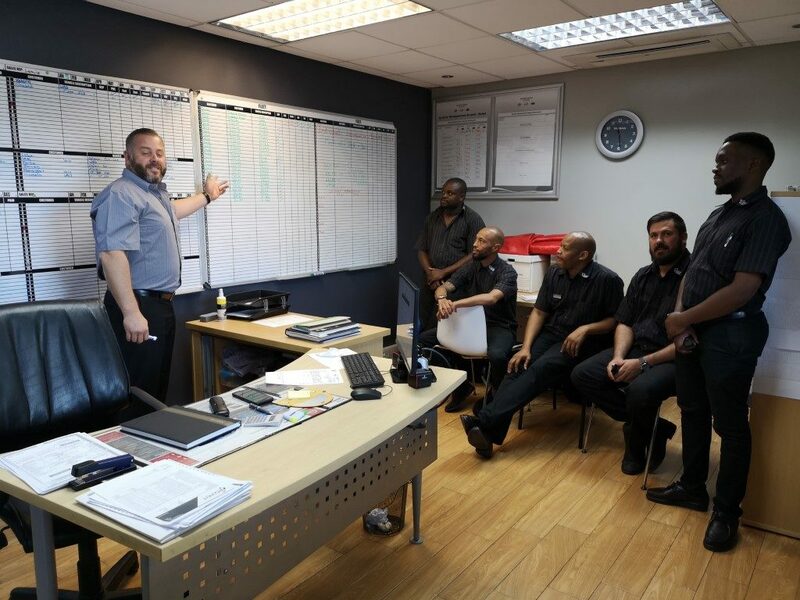 Dean is extremely focused on customer satisfaction and workshop efficiency, and makes sure everything runs the way it should, when it should. 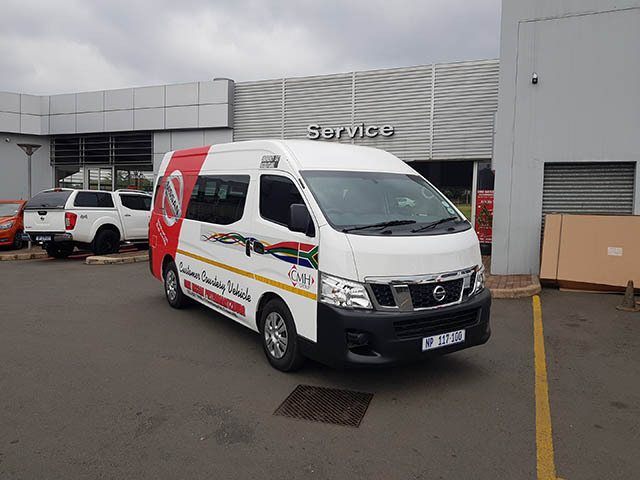 In the end, the entire team at CMH Nissan Midrand makes this possible, and we are extremely proud to have them on our side. We have our challenges laid out before us, and we will all give our 150% to keep being the best, so we can give you the best.